Some good tips on how to live a happy life after divorce. Life goes on! 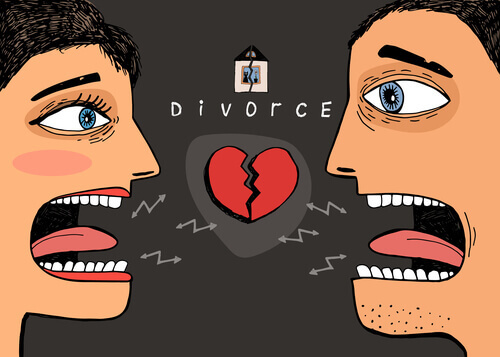 You’ve been married a long time and may not even expected that someday you’d have to go through such thing as divorce. Nevertheless, it happened and now you have to live with it. You probably feel as if you were the most miserable person in the world. You might fall into depression or feel some of its symptoms. Go into your shell and stop believing people. Stop thinking love and happiness exist. Give up on your private life. Get yourself up to your neck in work so that you didn’t have any time and strength left to think about those misfortunes you’ve faced. You can do all of it, but do you need it? Depression is just a defense reaction of you psychic. It dictates the feeling of hopelessness. Unless you fight it, nothing is going to change. You must find the strength and make yourself believe that everything good is still ahead. It may a bit difficult only at first. Your aim is to learn how to be happy after divorce. You can cope with it, you will definitely succeed. Eliminate the stupid thoughts, because life goes on! How to stay happy after divorce? – Bury the hatchet or let it go. The first thing you need to do and the most important one is to get rid of the oppressive feeling of offence. Eliminate the feeling of being offended by your ex-spouse, relatives and other people who hurt you. Repressed feeling of offence is pernicious to you in the first place. Scientists proved rancorous people to suffer from oncological and cardiovascular diseases more often than others. The offence which is living inside you does not allow you to relax and live a full life. That’s why you need to say goodbye to this feeling as soon as possible. There are lots of psychological techniques of eliminating offence. Someone feels better after meditation or praying. Some people write down all negative feelings they are experiencing and then burn the letter – a small ritual of farewell is considered to be very effective. You can also imagine offence as a balloon, which you throw away (in the abyss, fire or water). All these techniques are united by one common thing: a person must let go of the offender and negative emotions. This way he will spare space for new, positive, bright and constructive feelings. How to maintain happiness after divorce? – Open yourself to the world. Divorce is not the end of the world. It’s just the end of one stage in your life and the beginning of another one. Decide what you want most of all. to meet with old friends. to fill your life with numerous bright, happy impressions. to go for a trip that you’ve wanted since childhood. to throw a party with friends. to learn how to be happy about every single moment and notice the beauty around. Remember how little free time you had for yourself. Having some little things changed, you’ll start the chain of positive and pleasant changes. Discard all doubts, despondent mood and sad thoughts! Look in the mirror and smile to your reflection. How can one possibly fail to fall in love with such a charming and interesting person? How to feel happy after divorce? – Self-actualization is going to help you. Refresh your memory, you definitely have a hobby or, at least, had one. You may paint, embroider, skate. You may create some wonderful indoor greenhouses. Now, when you have plenty of free time, you can easily turn to what attracts you the most and, perhaps, develop your hobby into something more. Who knows, maybe you’ll become a designer of jewelry from polymer clay. Or, maybe, you want to express your thoughts through art? Maybe among people holding the same views you’ll find someone, who can become more than a colleague. How to live happily after divorce? – Help someone. Do you feel lonely, uncomfortable, wasted and wait for somebody’s help? Do not wait for the sun to shine! Pay attention to your relatives and friends and you are sure to feel useful and needed. If you like animals, you can become a volunteer in a shelter and in your free time take care of those who found themselves in the streets by the will of evil people. However, they aren’t angry with the world! You will see how happy they are and how grateful they are for your help and your coming there. Let this warmth be the impulse, which will help you change your life for the better! How to be happy after divorce? – Believe in the power of love. As corny as it sounds, belief in love is really significant. A life after divorce is always different, but the way it differs depends on you. All thoughts are material. The more you think and dream about good, the higher is the possibility of its coming true. Abandon dreadful thoughts that there would be no good any more. Start to think in a different direction. Love yourself! A confident, smiling and happy person attracts the attention of the people around. 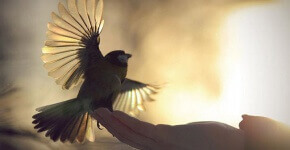 They want to reach for him, to communicate with him. Attend different parties more often, visit your friends, and meet new acquaintances. New important meeting will not take long to happen. The thought of you being happy will drive your ex-spouse crazy, especially, if he manipulated you or treated you badly. Be ready to lose most of your common friends (if not all of them). If they don’t want it, stop searching ways to meet them and be open to new acquaintances. Do not hurry to get rid of family photos. You may feel offended and hurt now, but few years later you’ll regret destroying all photos. This was the life of you and your children anyway. You should simply take them away or give them to your children if they are adults and leave separately from you. Remember, if you have common kids, you’ll never be free from your former spouse. If the kids are still small, be ready for his regular visits. Take precautions while meeting new people. They may not be all so goody-goody. Some may even use your loneliness for his own benefit. Do not be in a hurry to throw away all things your ex left behind. Some of the things may be a family treasure. How to start new relationships after divorce and be happy again? New serious relations far too soon after divorce can do a lot of harm both to you and your children (if you have any). Try to look at everything in perspective. Let your main target be the acquaintance and nice pastime, but at the same time keep your options open. 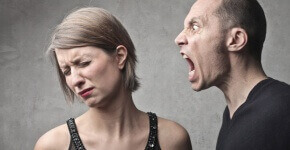 If you meet a new person, you may mention that your marriage fell apart, but do not tell him the details.Moreover, while talking to the new interlocutor, do not compare him to your ex-spouse: neither aloud, nor in thoughts. You have a new life which you create on your own! Be responsible for the choice of your chosen one. You’ve already made a mistake which ended in divorce. Be smarter and more reasonable this time.Do not look only at the good qualities of the flame of yours: analyze whether you can put up with this or that drawback. You shouldn’t be flirting with all people either. Do not waste your time on trifles and ruin your reputation. Take care of your children’s wellbeing. Your dates mustn’t be to the detriment of your children. Do not leave them to your relatives and friends only to improve your private life. So, you’ve sorted out how to be happy after divorce. The best things are still ahead!